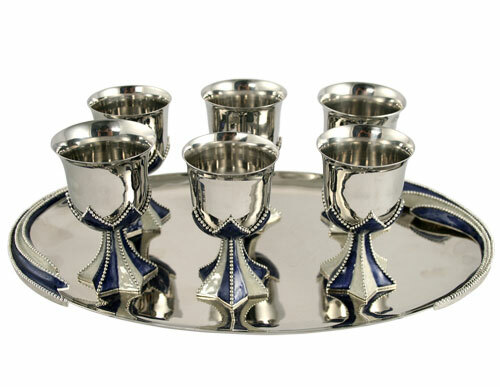 Imperial liquour (L'Chaim) set. Set of 6 cups on a glass tray. Made of high quality metals and adorned with quality silver plating and enameled colors. All hand made in the heart of New York City. Please allow 7 additional business days for delivery.